I don’t know if your kids are like mine, but they are so picky about their toothpaste. We have been through so many different brands and flavors. And between the three of them, their tastes are so different. We have a few staples for our house, but whenever I find a new toothpaste we give it a whirl. Friends, I think we hit the jackpot of toothpaste. In case you’ve never heard of it, hello toothpaste is a naturally friendly toothpaste. They have loads of flavors, so there is literally something for everyone. And with three kids who each prefer different flavors, it is so nice! It’s also the kind of toothpaste that I prefer for the kids. That is, it does not contain artificial sweeteners, artificial dyes, or triclosan. The best thing about it, is our kids are actually excited to brush their teeth. Honestly, we’ve never had a ton of trouble with the kids brushing their teeth. If I had to pick one difficulty we’ve had, it’s that they forget to brush for a full minute. Our daughter doesn’t like to brush her teeth, but as long as either my husband or I do it, then it’s fine. She has been brushing her teeth herself more and more lately. I brought out the hello toothpaste that we were sent, and the flavors got all three of our kids excited. They each picked a flavor to try (two of them wanted the same flavor) and lo and behold…. they each brushed for a full minute! In fact, I haven’t had to remind them to brush for a full minute since we started using hello toothpaste. If you’re curious about the flavors they’ve loved so far, they are Mojito Mint and Blue Raspberry. We also have Bubble Gum, Sweet Natural Mint, Pure Mint, and Watermelon to try. I think it’s safe to say that the kids will be enjoying brushing their teeth for quite a while! 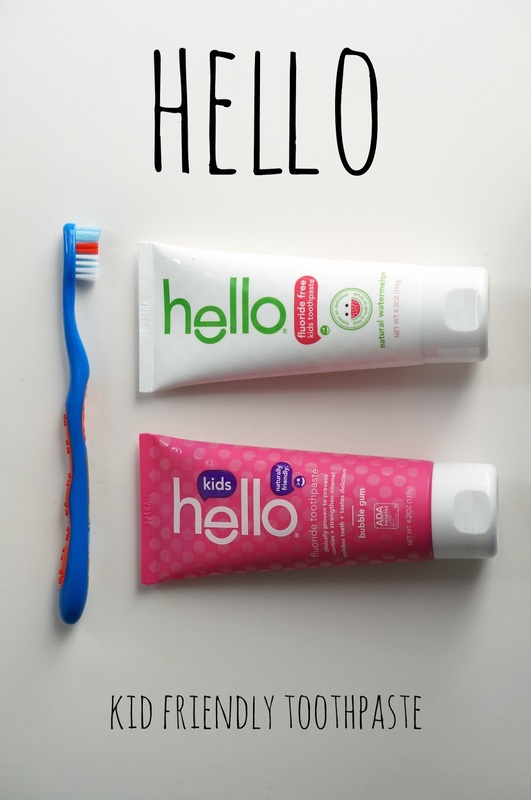 Find out more about how cool hello toothpaste is and explore their other products. Let me know how you get your kids to brush their teeth!